In this jaunty follow-up to Big Numbers (2007), a scruffy stockbroker returns to tangle with mobsters, women and his own big mouth. The good news, as the story opens, is that the hero is in the company of a gorgeous naked lady. The bad news is that she’s pointing a shotgun at him. It’s a typical predicament for Austin Carr, a semi-shady New Jersey financial professional temporarily in charge of Shore Securities while his boss is on vacation. But market fluctuations are the least of Carr’s worries. He’s being extorted into opening a money-laundering account for local crime boss Bluefish; an auditor who was investigating his company has turned up murdered; a fetching state police captain figures he’s the key to her organized-crime probe; and his boss’s mother has been picked up for fixing her church bingo game. 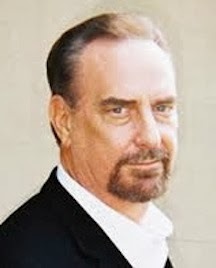 Carr is continually getting into trouble over his weakness for breasts, his penchant for self-incriminating statements and his vestigial moral sensibility, which, like an appendix, makes itself felt at inconvenient times. On the plus side, he’s got his noble Mexican buddy Luis, a boyish grin for placating angry females, an occasional glimmer of perceptiveness and a stock salesman’s gift for closing the deal, even with people who are preparing to throw his weighted body into the ocean. The way to read this book is to let the hectic, Byzantine, dubiously motivated plot just roll over you without wondering much about who’s doing what to whom, or why. That way you can relax and enjoy Getze’s punchy dialogue and colorful characters–Bluefish’s henchman Max is an especially pungent creation–and his hilarious hangdog protagonist’s dissolute charm. If Elmore Leonard had gotten a securities license, this is the book he might have written. Austin Carr is back and, as always, he’s in trouble. Some of it of his own making, but most of it because of the people he works for. Sometimes his job as a stockbroker is downright dangerous. Who would have thought it? In this book, he’s not the only one in danger. His children are being threatened and that just pushes things too far for Austin. I enjoyed the first book in the Austin Carr series, Big Numbers, and I had to see how Jack Getze could top that one. Somehow he managed to do that with this sequel. Getze is a master at writing twists and turns. He sure keeps his readers on their toes. I didn’t know which characters to cheer for, which ones were the good guys, which were the bad guys…I just kept right on reading. Besides Austin, I also like his best friend Luis and his boss’ mother Mama Bones. I’d love to read more about them in future books. Overall, this was a crazy wild adventure that didn’t let you rest for even five minutes. Something was always happening and humor was drawn through from the beginning to end. It had me LOL as I read it. I’m looking forward to reading #3. Warning: There are adult situations and language in this book. Thanks for taking the time to try my work, Yvonne. Glad you got some laughs. I had to come and visit. 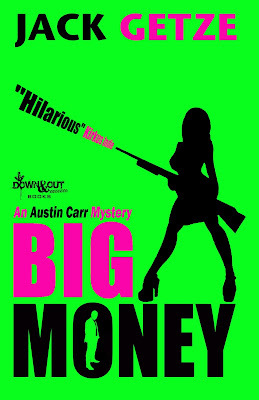 Big Money surprised me (in a good way) and I understand that there will be a third book in the series to look forward to!